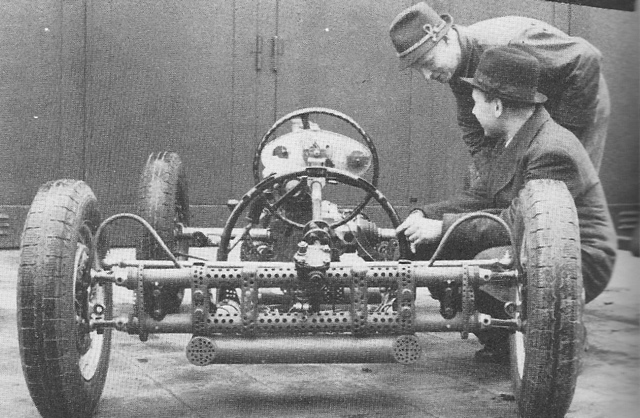 this the chassis of a 1940’s built monoposto race car from Germany… it was driven by a BMW 328 sport coupe engine in the back. It was built by Helmut Polensky who drove it to the German Championship in 1949. I really like how he drilled out the front of this VW front end he was using. I dunno… something about just drilling a whole boatload of holes in a machine that really intrigues me. Pretty much you can take anything… and drill a bunch of holes very carefully in it… and it begins to look cool for some reason. 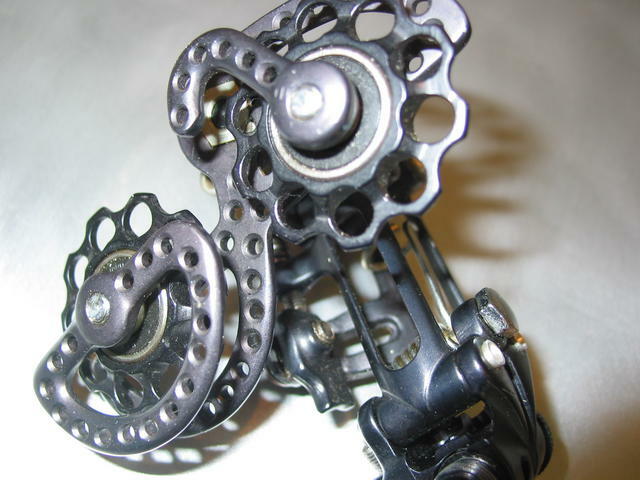 Cyclists… in their quest for lightness… took this to the extreme with “drillium” parts in the 1960’s and 1970’s. Lovely… Kinda stupid… but lovely!